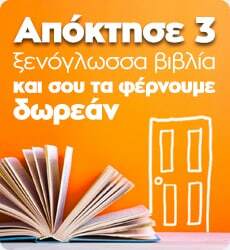 Σύνοψη του βιβλίου "Collins COBUILD Advanced Learner's Dictionary"
The 9th edition of the Collins COBUILD Advanced Learner's Dictionary has been revised and updated to include detailed coverage of today's English in a clear, attractive format. Ideal for upper intermediate and advanced learners of English, this dictionary covers all the words, phrases and idioms that students need to master in order to speak and write effective English. Thousands of updated examples taken from the 4.5- billion word Collins Corpus, show learners how the words are used in authentic contexts. The dictionary offers extensive help with grammar through the inclusion of grammar patterns at examples, plus a new supplement to help with academic and business grammar. Additional information is provided throughout to help learners improve their knowledge of collocation, etymology and synonymy. Informative and relevant vocabulary panels show how words are used in a range of everyday contexts. In addition, this dictionary offers learners guidance on how to communicate effectively in English. The Language in Use supplement provides a wealth of invaluable information on how to write and speak English for different purposes using the appropriate language, style, and tone. Resources and activities to help learners make the most of the dictionary are available for free online. The Collins COBUILD Advanced Learner's Dictionary provides invaluable and detailed guidance on the English language, and is the complete reference tool for learners of English.